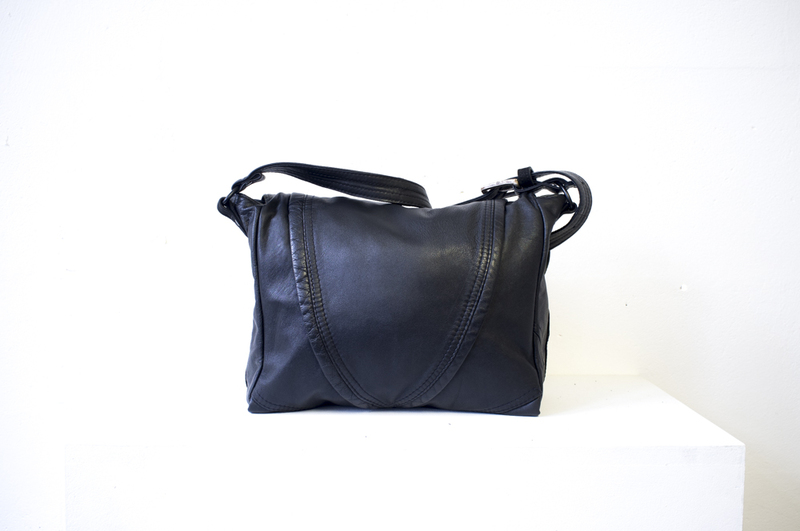 The Flagey (Fla-jay) Shoulder Bag is named after a familiar and hip square in Brussels Belgium – Place Flagey. 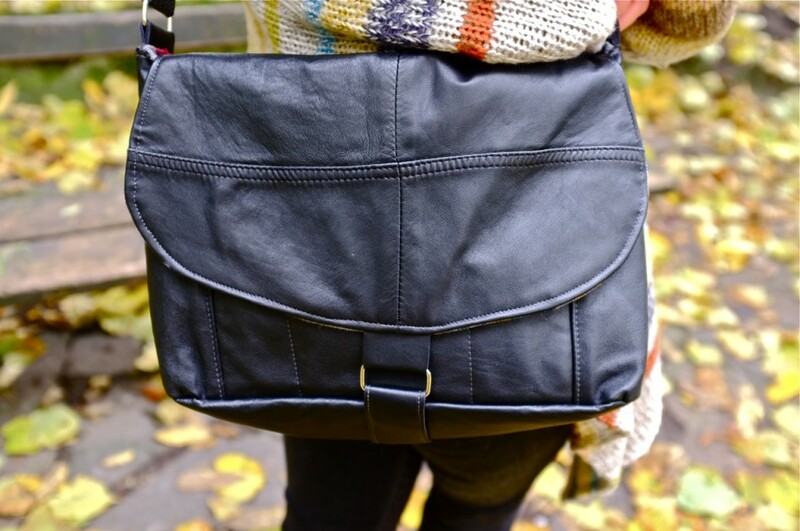 It is designed and crafted for what I, personally, need in a reliable everyday bag. The Flagey is roomy, with enough space for everyday essentials plus a couple of books, a tablet, and much more. 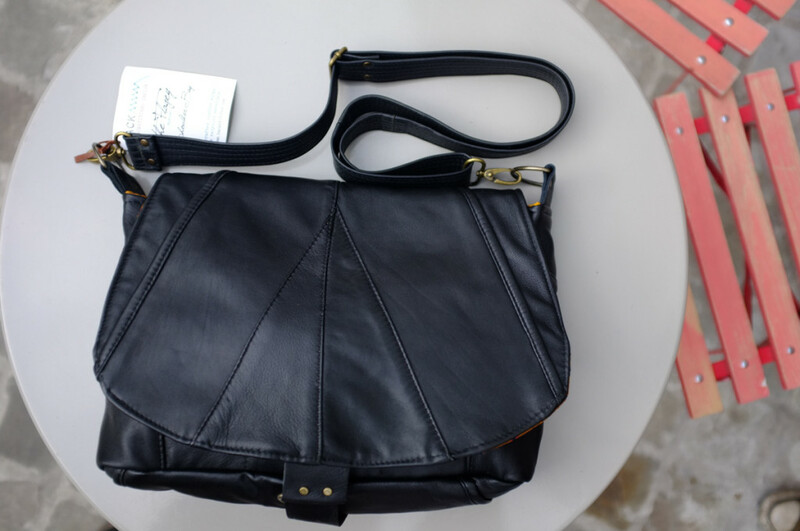 It features a zippered pocket on the front, small pockets for a phone, pens, chapstick, etc., a book/ipad divider to keep things organized, and an adjustable shoulder strap. 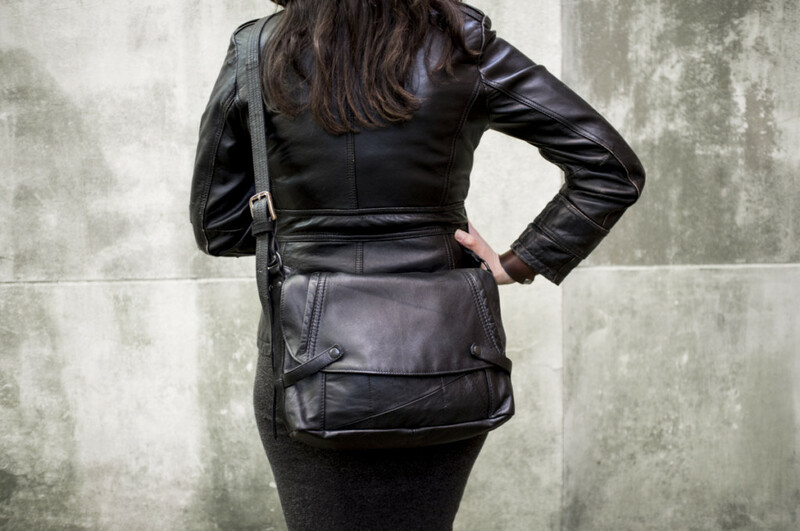 The Flagey Shoulder bag hits all the marks in functionality, style and durability, and stands the test of time over and over again. 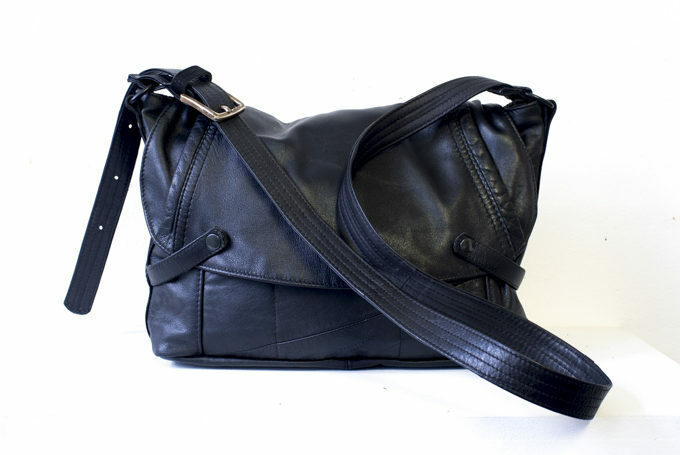 I use leathers from high quality repurposed leather jackets and leather apparel making each bag one-of-a-kind and unique. 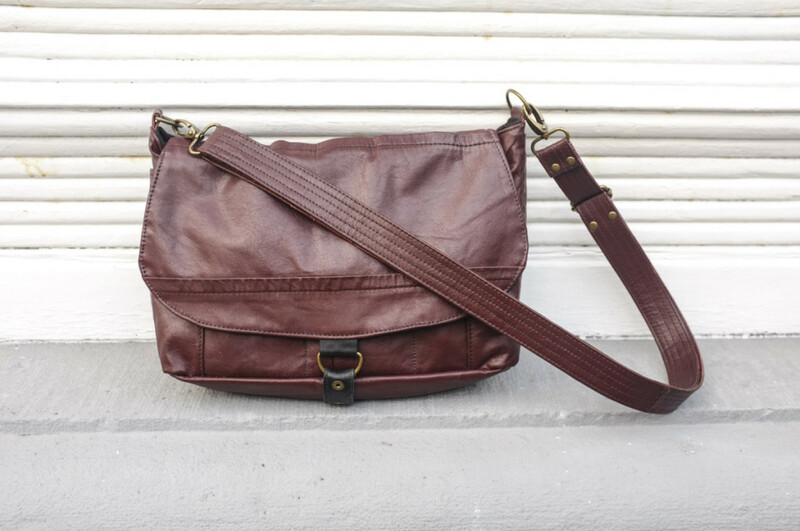 The Flagey Shoulder bag is for the eco-conscious person with an eye for style, practicality, and personality looking for a trustworthy bag to carry all day long and into the evening.